From comedy, thriller to classic remakes, here are six anticipated films to usher in a prosperous Year of the Pig! Directed by Alan Mak (麥兆輝) and produced by Felix Chong (莊文強) and Huang Bin (黃斌), Integrity <廉政風雲 煙幕> stars Sean Lau (劉青雲), Nick Cheung (張家輝) and Karena Lam (林嘉欣). 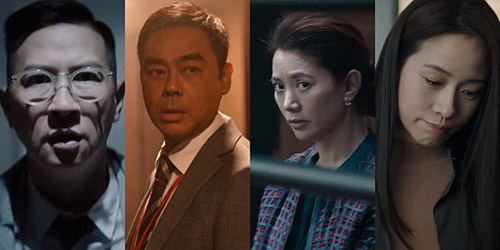 Revolving around the Independent Commission Against Corruption (ICAC), other actors include Alex Fong (方中信), Kathy Yuen (湯怡), Carlos Chan (陳家樂) and a guest appearance by Anita Yuen (袁詠儀). Their second collaboration after The White Storm <掃毒> five years’ ago, Sean and Nick are elated that the film has secured a festive slot, and are confident about the film’s chances even among a multitude of comedies at the box office. Director Mak calls “combating corruption” the theme of the film, which narrates the story of an important witness from an ICAC case who escapes to England. After numerous efforts by investigative officers who locate him, and just as he is about to return to Hong Kong, unexpected twists throw everyone off guard. The film would be the first of three parts, including Integrity<煙幕>, Dark Secrets <黑幕> and Insider <內幕> (sequel names are loosely translated). King of Comedy <喜劇之王> from 20 years ago was an iconic film with many classic lines and well-loved plot scenes. 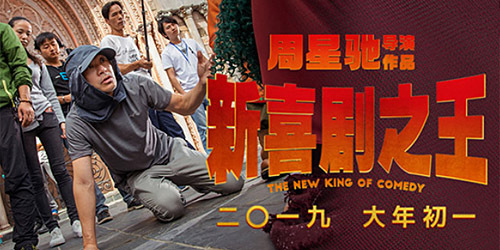 Directed by Stephen Chow (周星馳), New King of Comedy <新喜劇之王> stars Mainland actor Wang Baoqiang (王寶強), and E Jingwen (鄂靖文). According to sources, Stephen Chow had intended to release The Mermaid II <美人魚2> as a holiday film, but due to lengthy post-production time needed, he secretly shot The New King of Comedy which took only three months including pre- and post-production. Though netizens have expressed minor disappointment at the cast lineup so far, Stephen’s reputation and the story’s draw of ordinary folks chasing their dreams are likely to bring in throngs of movie-goers. A first direction effort by Wong Cho Lam (王祖藍), I Love You, You’re Perfect, Now Change <你咪理，我愛你!> will feature performances by over 50 actors including Eric Tsang (曾志偉), Teresa Mo (毛舜筠), Ivana Wong (王菀之), Louis Yuen (阮兆祥), Harriet Yeung (楊詩敏), May Chan (陳嘉佳) and more. Teresa Mo will take on multiple identities, including lawyer, stepmother, divorcee and more. 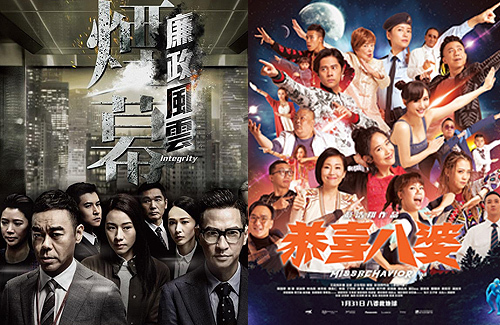 With 13 romance-and kinship-related snippets making up the film, it will be interesting to see if localized flavors or the Stephen Chow-led joint production draws in more of Hong Kong’s movie-goers. Produced by Andrew Lam (林敏驄), A Lifetime Treasure <如珠如寶> stars Louis Cheung (張繼聰), Bob Lam (林盛斌), Ivana Wong (王菀之), Tien Niu (恬妞), Lam Suet (林雪) and Richard Ng (吳耀漢). The plot revolves around the mischievous pair Louis and Bob who secretly sneak into a nursing home. Sammo Hung (洪金寶), who has been absent from Hong Kong films for a long time, has also agreed to make a guest appearance, adding to the movie’s appeal. Louis and Bob’s reading of the script prior to filming has already led to hilarious outbursts, complemented by a cast of comedic talents such as Ivana (who plays a nurse) and Lam Suet (as the central antagonist who wants to gain ownership of the nursing home), the film is a must-catch for those looking for a good laugh. 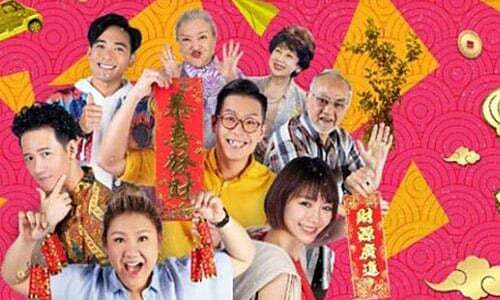 A Journey of Happiness <玩轉全家福>, a joint Hong Kong-Malaysian production, stars Joyce Cheng (鄭欣宜), Lo Hoi Pang (盧海鵬), Jerry Lamb (林曉峰), Alex Lam (林德信), Susan Shaw (邵音音) as well as Lin Min Chen (林明禎) and Ah Niu (‘阿牛’陳慶祥). Shot in Malaysia, it revolves around Lo Hoi Pang’s character who goes on a road trip adventure with his family after the demise of his wife, with the trip being led by his tour guide daughter (played by Joyce Cheng). The family-themed film will likely showcase many light-hearted moments in line with moviegoers’ expectations. 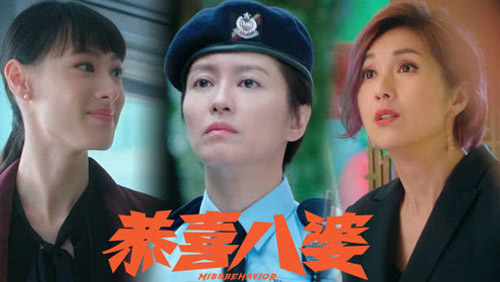 The first-time directing effort by Pang Ho Cheung (彭浩翔), Missbehavior <恭喜八婆> stars Gigi Leung (梁詠琪), Dada Chan (陳靜), Jo Kuk (谷祖琳), Isabella Leong (梁洛施), June Lam (林兆霞), Isabel Chan (陳逸寧), Chui Tien You (徐天佑), Hanjin Tan (陳奐仁), Wiyona Leung (楊柳青), Patrick Tse (謝賢), Ashina Kwok (郭奕芯) and more. Many of the cast came from Pang Ho Cheung’s previous films Vulgaria <低俗喜劇> and Love in the Buff <春嬌與志明>. HK film is dying nothing much is appealing tbh. The New King of Comedy is an HK film? The leads are mainlanders, same as most of the supporting casts. Regardless, HK film is dead. HK can’t produce world-class movies anymore. Everything looks B/C-grade these days. I am not even a fan of mainland movies, yet I am intrigued by their significant improvement in recent years. They still have long ways to go, but I think it will be a matter of time before they can rival Hollywood in production quality. Operation Red Sea is a good example. It’s as good as any American war movie that I’ve watched.